If you are a fan of hip hop or R&B, you certainly know the rapper, singer, songwriter and record producer named Faheem Rasheed Najm. Ok, before you say ‘oh no’, Faheem is more popularly known by his stage name, T-Pain. Yeah, now you know him. He shot into the global limelight with a meteoric speed in 2005. Two years before then, he had been married to his heart-throb, Amber Najm who is the subject of this article. Through many ups and downs, the couple has remained together since then. Hop on as we take a look at the woman at the background of T-Pains huge breakthroughs in the hip hop and R&B world. Biography – Who Is Amber Najm? As already pointed out, Amber Najm (nee Wyatt) is the wife to the rap music sensation Faheem Rasheed Najm (popularly known as T-Pain). Amber was reportedly born on April 13, 1981, in Melbourne, Florida as per wiki sources. Details about her family and date of birth are scanty, but we know she is of Black ethnicity and holds American citizenship. There are copious reports also that Amber Najm attended Florida A&M University (FAMU) from where she graduated with a bachelor’s degree in Business Administration. After graduating from FAMU, Amber reportedly worked with the American military. But we cannot find considerable details about this part of her work history such as which military installation she worked with or in what position. She probably began the work around 2001 or thereabouts. It is almost certain that Amber is largely behind T-Pain’s career success. Why do we say so? It is obvious that nothing was going for him until he married her and that he has experienced unprecedented career turn-around ever since they married. T-Pain and his wife, Amber Najm: Image source. The story has it that Amber Najm and T-Pain met each other in 2002. They dated for less than a year before they wedded in 2003. Then, in 2004 – less than one year after the wedding – T-Pain joined the rap group Nappy Headz. It was with this group that he recorded a cover version of Akon‘s single entitled Locked Up. That cover version by T-Pain was entitled I’m Fucked Up and that was what jump-started his musical success. How was that? Akon saw T-Pain’s cover version of his single and was impressed by it to the point that he immediately signed T-Pain to his own record label, Konvict Muzik. Consequently, T-Pain was able to record and release his debut album entitled Rappa Ternt Sanga under Konvict Muzik in December 2005. That debut album was really a hit. It attained the 33rd position on The Billboard 200 and was certified ‘Gold’ by the Recording Industry Association of America (RIAA) for selling up to 500,000 copies. Ever since it has been a success all the way for Amber Najm’s husband T-Pain. The couple started their romance a couple of years before T-Pain attained career success. Unlike most other celebrity couples, they have not only stayed married but their social media posts show that they are also still madly in love. Could this have anything to do with any cardinal role Amber may have played in whom T-Pain has become? Well, whatever be the case, Amber Najm also has given birth to three amazing kids for T-Pain. They are two sons named Muziq and Kaydnz and a daughter named Lyriq. 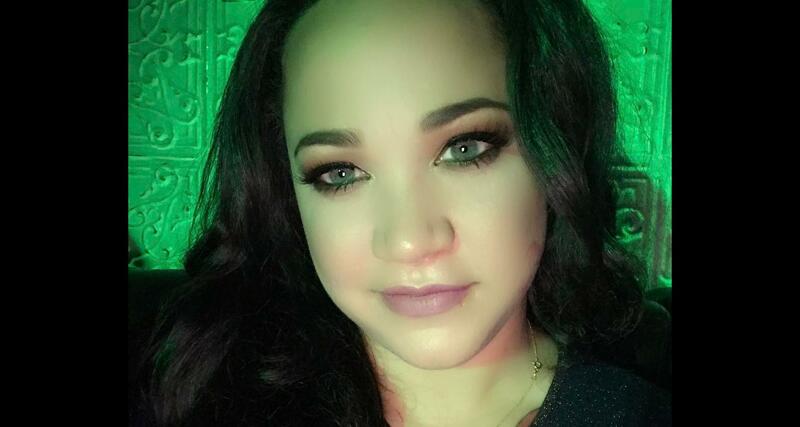 The current source of income for T-Pain’s wife Amber is not known. The only thing found listed in her work history from source to source is that she worked with a U.S. military institution. We have not been able to ascertain the exact job placement she worked in to be able to gauge her earning. However, her job with the military is traced to 2001 or thereabouts. That was also around when she married T-Pain and when her husband began to hit it big. It is almost certain that Amber Najm quit that job not many years after her year 2003 wedding with T-Pain (or, possibly, even before). It is also likely that she has used her training as a business administrator to assist her husband’s business. While her husband is reported to be worth between $35 million and $45 million, we have not been able to access any reliable figure as Amber’s net worth. However, there are online speculations that she is worth as much as $1 million in her own name.